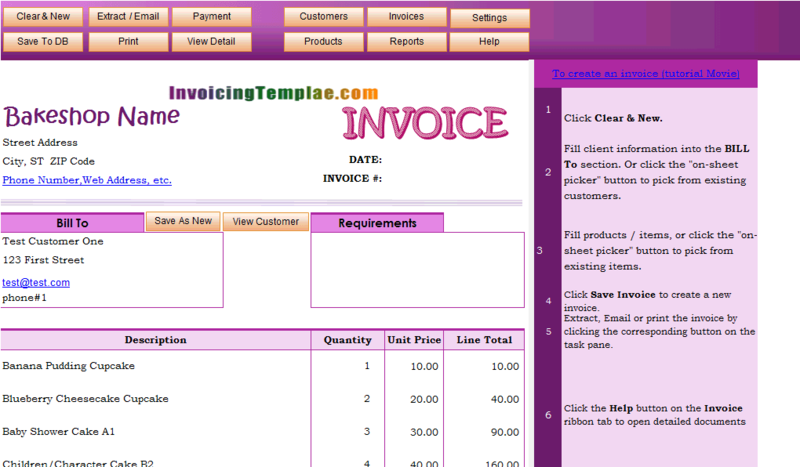 Cash Invoice Definition is a sub-topic of Download Free Excel Invoicing Templates . 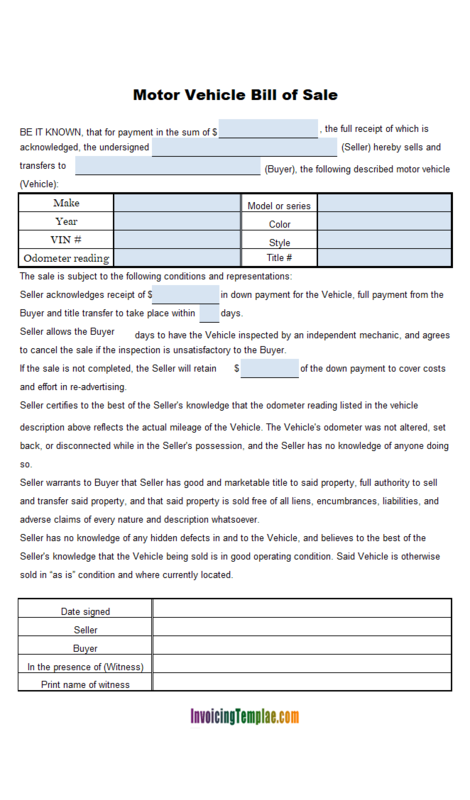 Here are our templates closely related to Cash Invoice Definition. 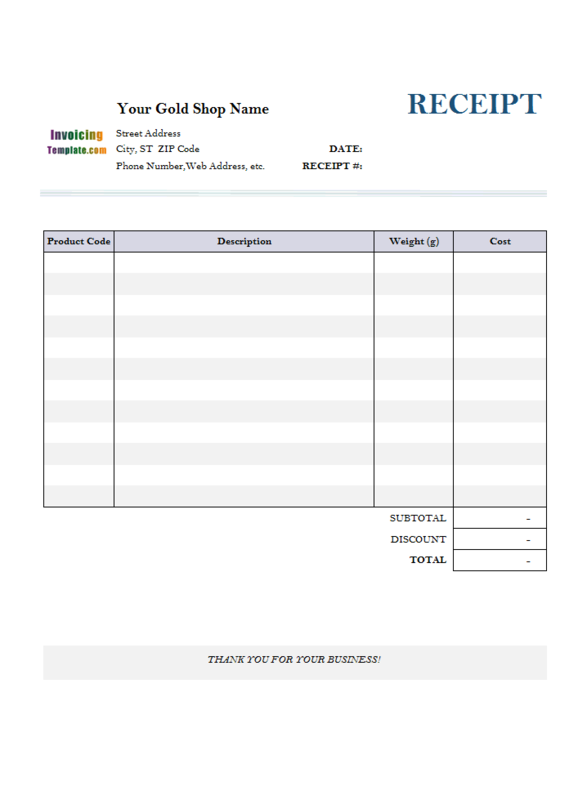 If you create receipts frequently for the cash payments received, it is easier to use a template and print receipts using a printer. 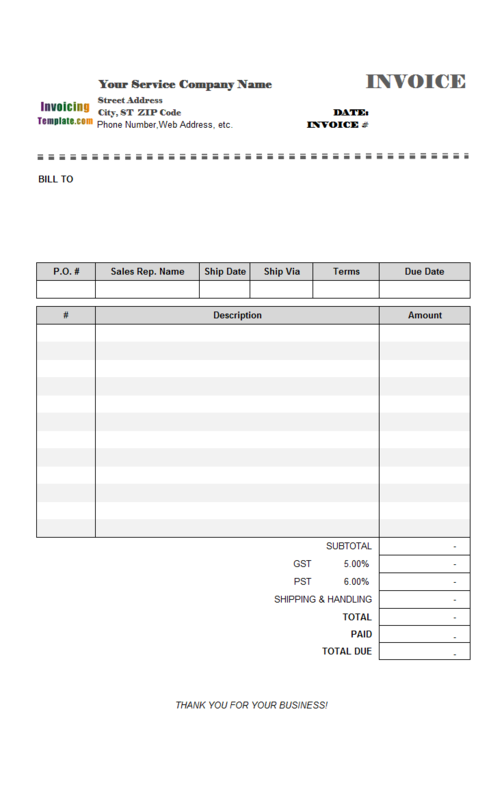 This free Blank Cash Receipt template offers a sample of blank cash receipt. Standard fields are those that already created in the default database file shipped with Invoice Manager for Excel (namely Uniform Invoice Software) (UIS), as opposed to custom fields (i.e. user-defined fields) which you should create yourself. This template demonstrates how to change the definition of standard fields. This template uses the same database structure and field definition as the original version, but changes the meaning of the fields. The 5 prices field in the original database definition are decimal (15,6) which is enough for storing a percentage value. 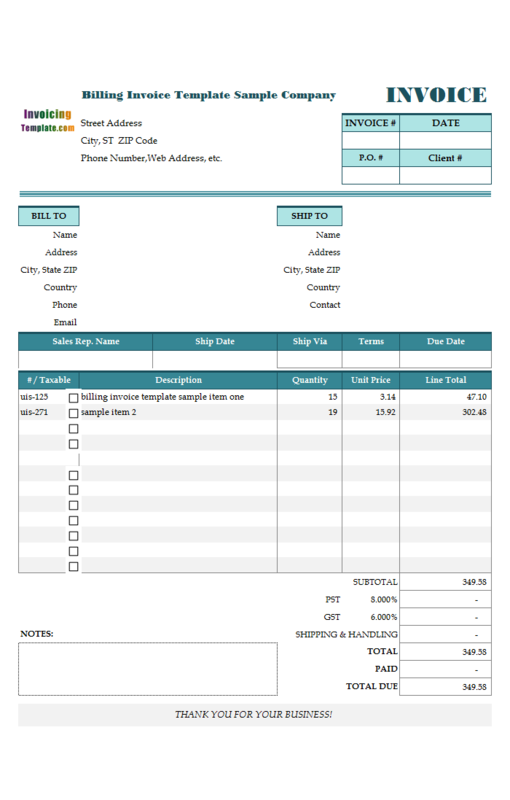 In this implementation offered by InvoicingTemplate.com, the first price custom field (Discount Price A) is used as the base price, and the other 4 prices (from Discount Price B to Discount Price E) are used to store discount percentage values. For example, in the sample database attached with this template, product "ABC-01" has 5 custom fields defined for prices, named from "Discount Price A" to "Discount Price E", and the values are 19.00, 0.11, 0.21, 0.31 and 0.41. 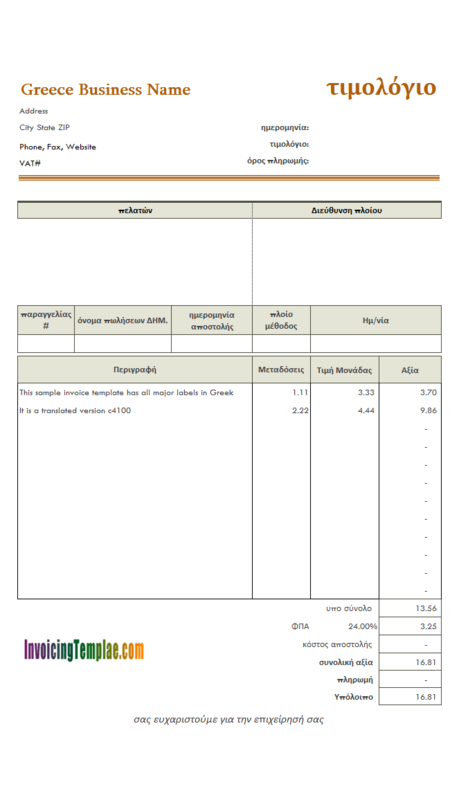 If the discount level of a customer is 1 and he purchases the product "AB-01", the base price (19.00) will be applied; If the customer's discount level is 3, the discount will be 0.21 (i.e. 21%), the applied price will be 19 * (1-0.21) = 15.01. On the bottom of the form, besides the usual "Subtotal", "Tax" and "Total" fields, it also adds space for "Cashier's Signature" (this is for printing purpose only - not a field saved to database), and "Guest's Signature", with a declaration like "I agree that my liability for this bill is not waived and agree to be held personally liable in the event that the indicated person, company or association fails to pay for any part or the full amount of the these charges". With Invoice Manager for Excel (namely Uniform Invoice Software) installed, to simplify invoice creation, you can use the "Product" database table and assign each product / item a shortcut code (the "Product ID" field). When creating invoices, you simply type in the item# into the cell to retrieve the full description and unit price, so that you don't have to type in the same text again and again. 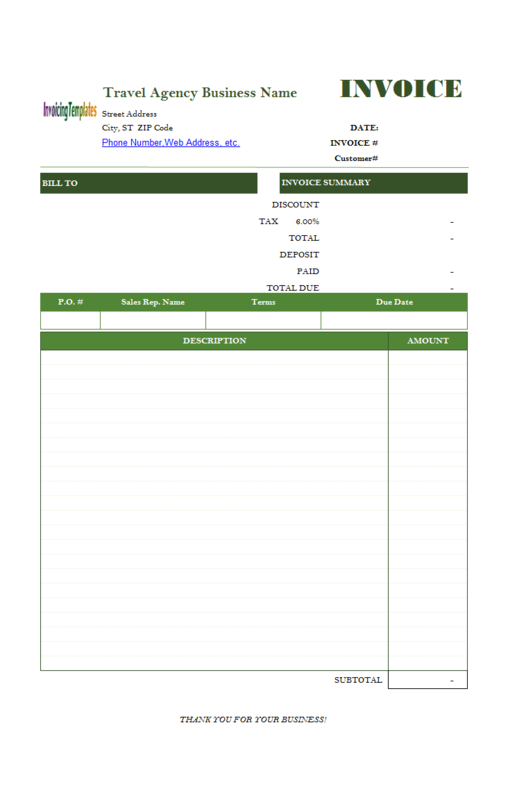 This free generic service invoice template in Microsoft Excel spreadsheet format helps you send your customers their service invoices. The professional designed layout makes it easy to bill your customer. It features 3 columns, no shipping address, no taxes (configurable by using Invoice Manager for Excel (namely Uniform Invoice Software)). 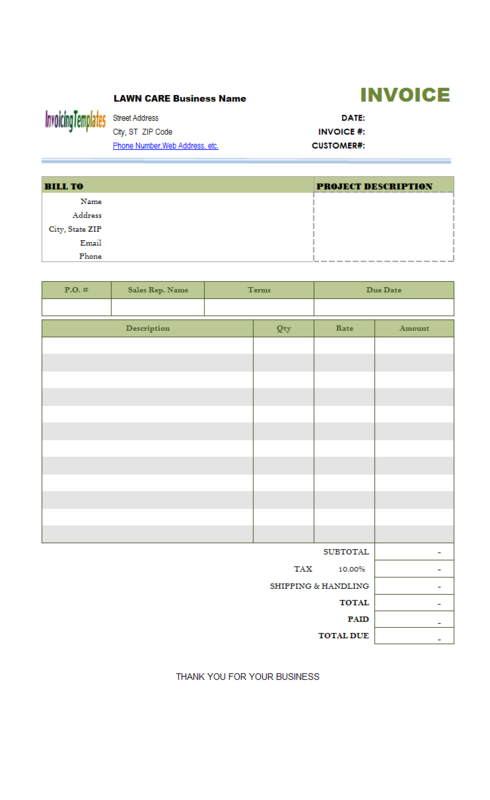 Designer Invoice Template (Gray) or Designer Billing Form (Gray) replace red and blue in the original designer invoice format with gray colors. 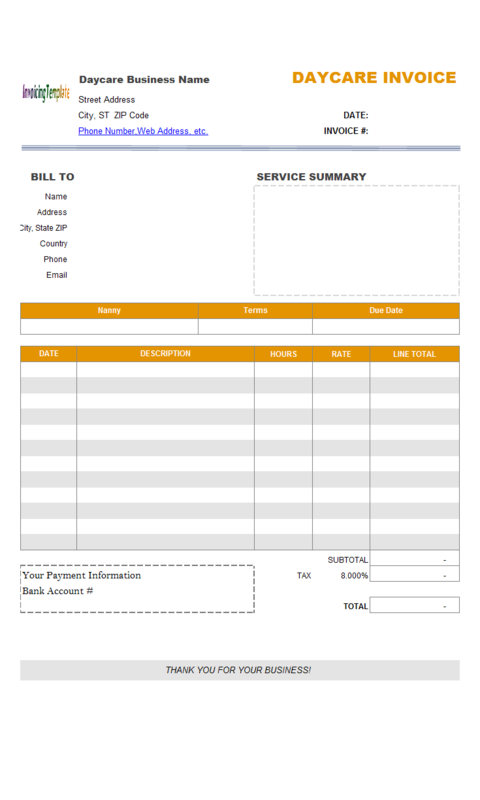 Download and create nice bills with this template, or use it as a starting point of designing your own designer billing template. 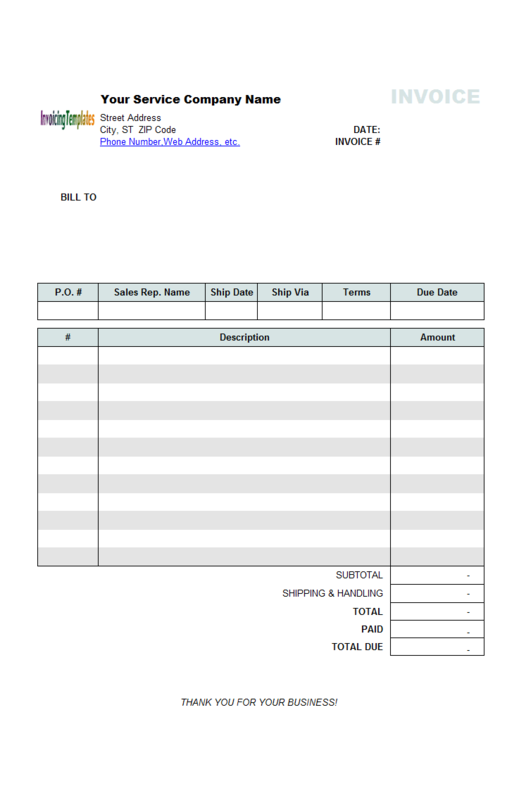 Make sure you have installed Invoice Manager for Excel (namely Uniform Invoice Software) to make this Travel Service Bill Format a powerful travel service invoice creator / maker. 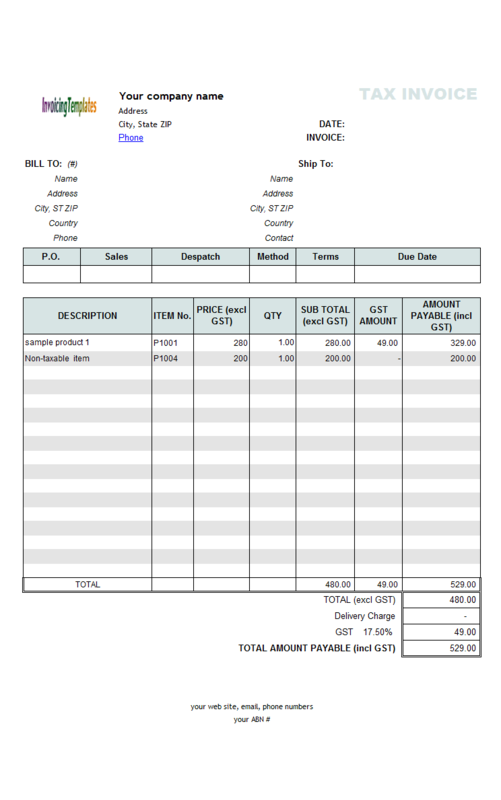 Some travel agencies and companies use manual books to prepare travel service invoices / receipts for their customers and several are using software and other advanced techniques for this purpose. 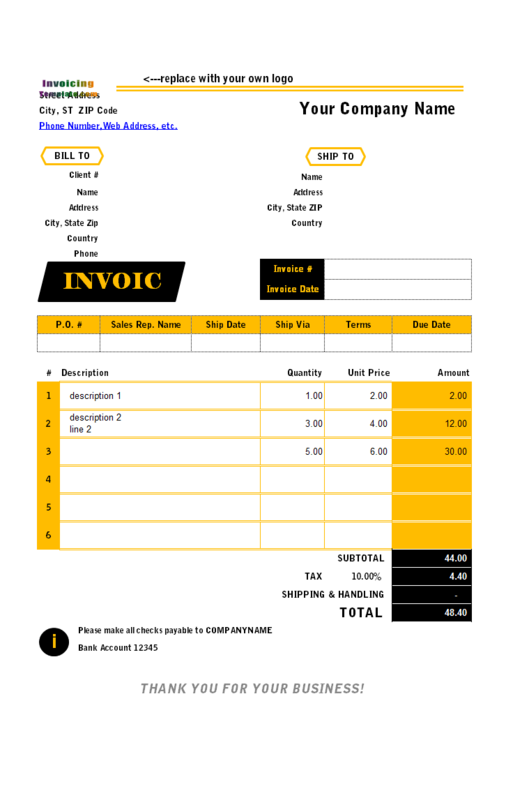 Using a template has its advantage - it is able to produce beautiful and professional invoices and receipts like many complex accounting / billing systems, yet it is easy to use - you can create travel invoice / receipt just like filling a blank paper form. 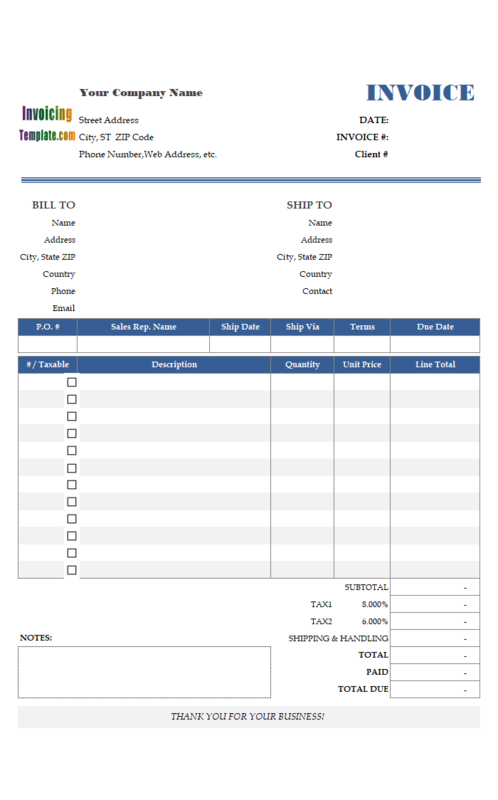 With the Microsoft Excel spreadsheet template, you can not only print the invoice, but also easily convert it to Adobe PDF format. If you are a web designer looking for web design billing template, or a graphic designer looking for graphic design billing template, you might why some invoicing system, even those complex ones, lack options for customizing their invoice format and layout. 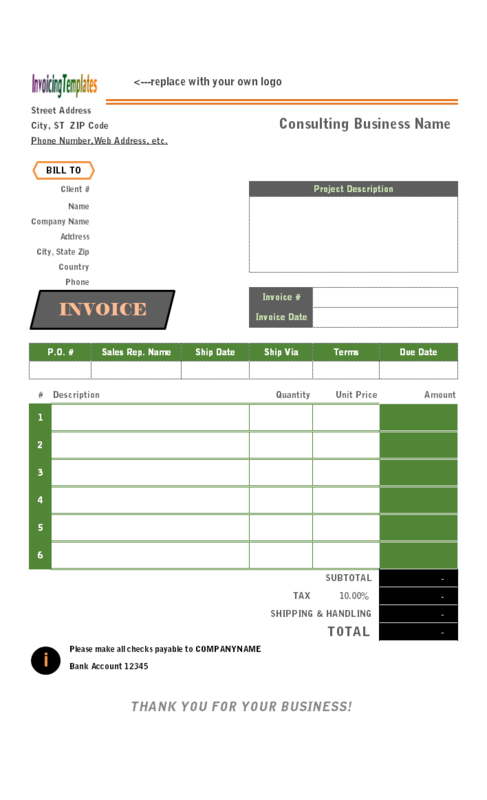 This designer invoicing format, which you can download for free - either the freeware edition, or the Invoice Manager for Excel (namely Uniform Invoice Software) edition, demonstrates how easy it is to change a bill design in Microsoft Excel spreadsheet format. By simply change the colors of an spreadsheet, it gives a complete different look and feel. 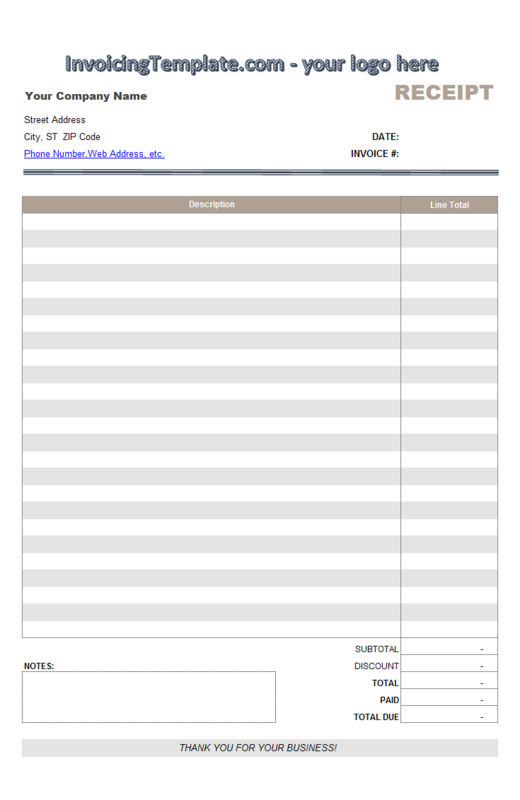 Whether you are a freelancer or a small / home business, you can make your invoices look beautiful and professional by using our templates. 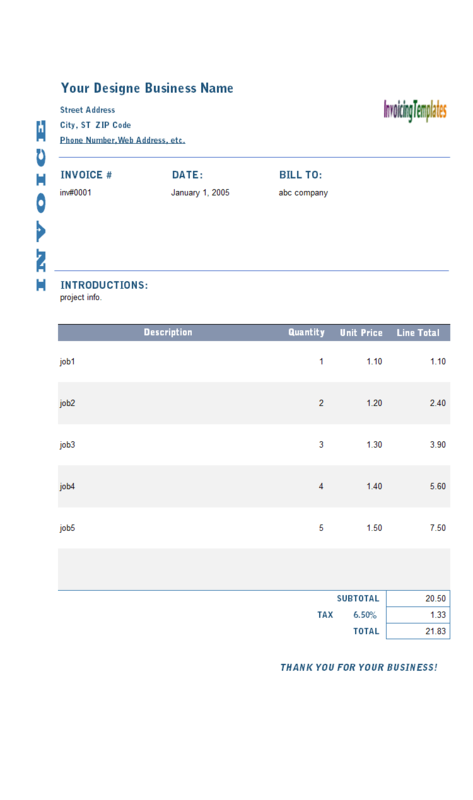 As an invoice design inspiration, InvoicingTemplate.com is providing another sample designer invoicing format for free, which is Designer Billing Form (Gray). Note on the bottom of the form there is a "Notes" field. 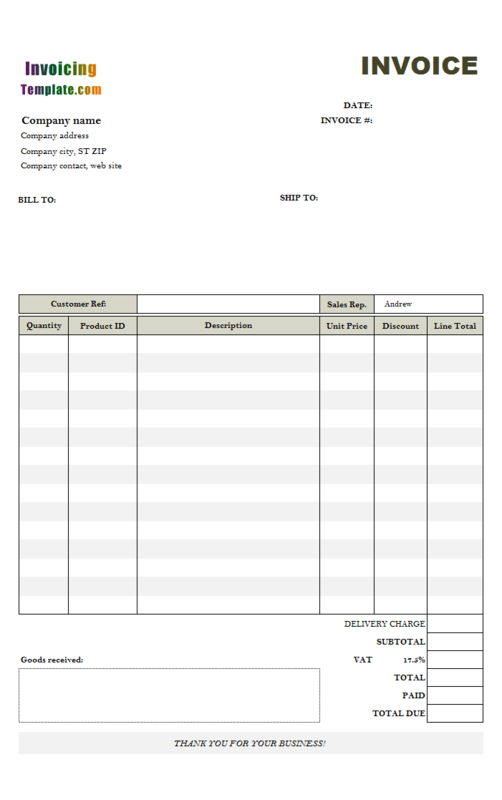 This is a free-form text field that you can enter any additional information not detailed elsewhere on the packing slip. The template has space for you to put your own logo image on the top-left corner. Next to that is your lawn care business name, address, contact number, email and web address. 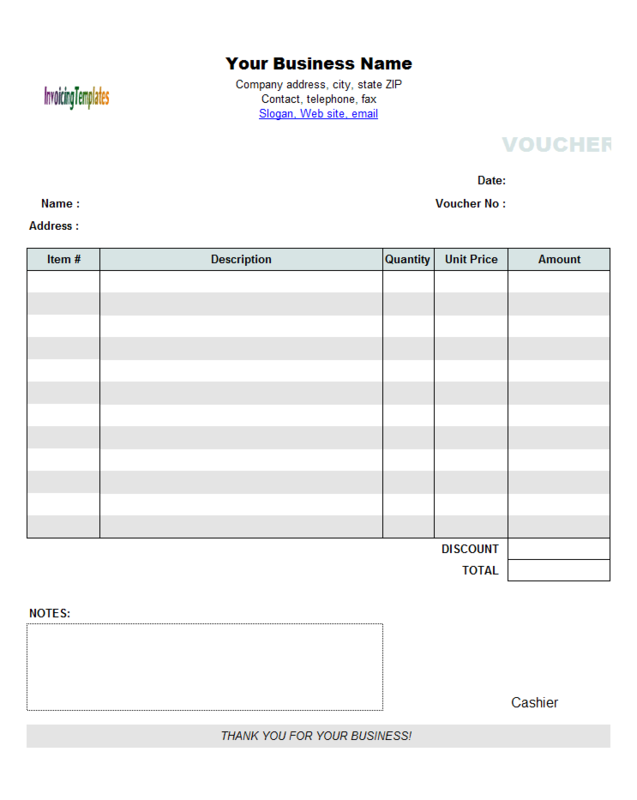 On the top-right-corner, you'll see the invoice date, invoice # and customer (client) # fields. If you have Invoice Manager for Excel (namely Uniform Invoice Software) installed, to create a new invoice you simply click the "Clear & New" button on the task pane or on the top of the form. The "Clear & New" command clears the form, fills in some default values like invoice date, payment term, sales rep. name, default tax names and rates. 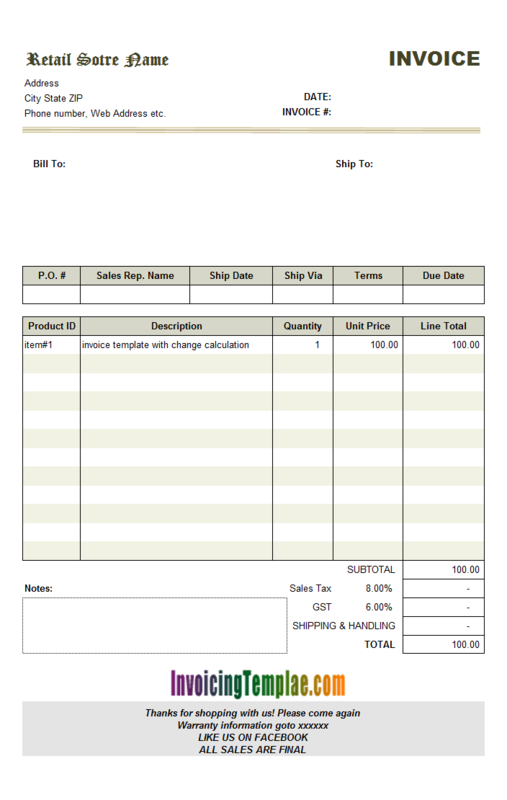 The invoice# (Invoice ID) field is filled automatically if left blank when you click "Save Invoice" (or "Save To DB"). If you are handy with Excel, you could also try modifying one of the templates listed on the right. 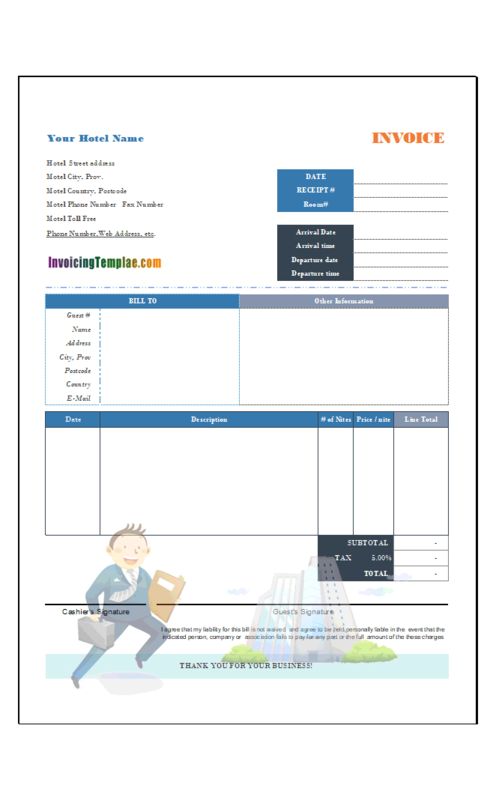 This template is an excellent starting point for creating your own company's invoicing form. The template is offered free of charge. 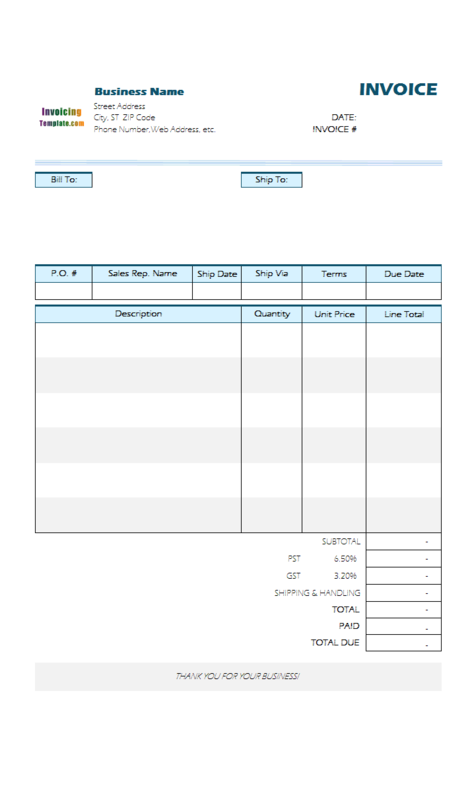 This customized design provides form fields for invoice numbers, date, order information, billing information and a table for including product or service information and dollar amounts. 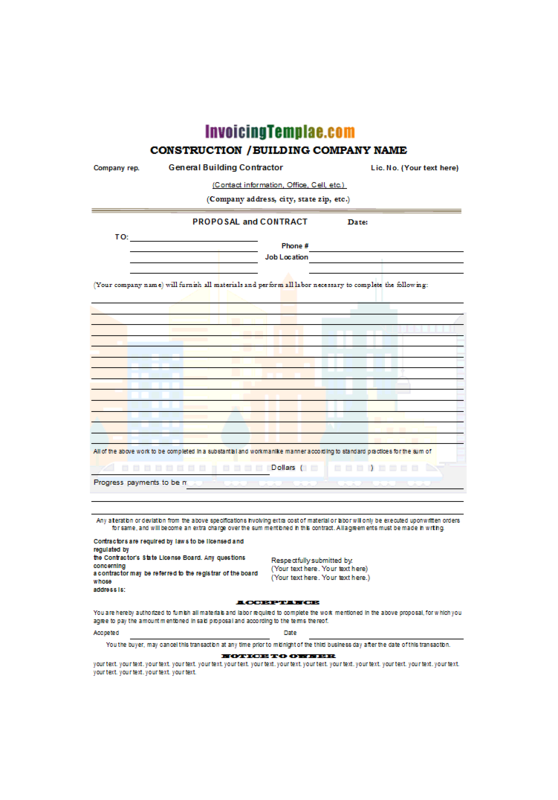 Suitable for general small business use, the form provides space for inserting a company logo on the top of the form. Someone may like to place the logo on the bottom of the page, the steps is to first unprotect the spreadsheet, and then switch to design mode, and then move the logo image, as detailed below.